Notes Parken is built on the site of former Denmark national stadium, Idrætsparken. First match No. 829, 17 August 2005, Denmark 4 England 1, a friendly match. Last match No. 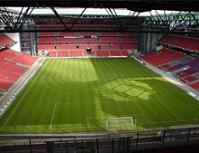 829, 17 August 2005, Denmark 4 England 1, a friendly match.